Recently while trying to find something on the internet, I decided to "google" my name. It's always interesting to see what information exist about myself on the internet. I wasn't surprised by the links that showed up on Google...but I was surprised to see how quickly so many pictures came up. Every picture of our children we've placed on the internet now seems to exist in one place. I began Bennett's blog before he was born. 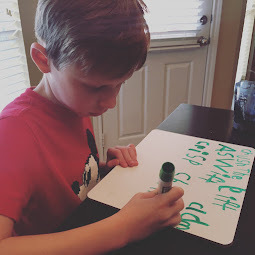 I was anxious to announce his arrival with an drafted post that needed only to be filled with important details like date, time, size and length. I had planned to make his blog private (like his brother who also has a private blog) and offer it to family and close friends. It wasn't meant to be anything special - just an online scrapbook of my growing newborn. 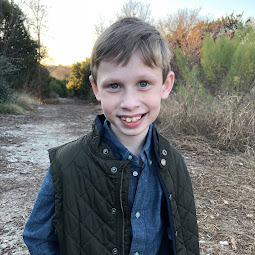 But when Bennett was born suddenly very sick and we were learning more about his condition, his blog became an absolutely fabulous way to disseminate information to all those living far away. Too exhausted to share details via phone and email, the blog, that was originally meant to private, stayed public. 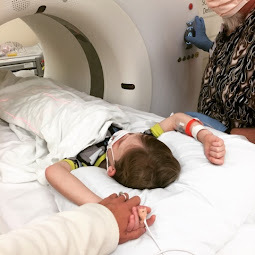 The most amazing aspect of having Bennett's blog, beyond the fact that it was wonderful for sharing information, was it provided specific information to friends of friends who offered to pray for us during our time of need. Bennett's blog actually helped us feel a rally of friends were cheering us on and going through this journey with us. Since Bennett's blog has been a wonderful way for us to share our story with the world, it saddens us to even have to consider "locking it" and making it password protected. But we have prayerfully considered it over the past year - as Bennett has moved from being a generic baby to a specific toddler. As parents of children growing up in a ever-so-unpredictable world, we feel it is our duty to be wise and protect our children - even when its inconvenient. Our story is public, but our children's lives ultimately cannot be. We feel that, for us, it is naive to believe that posting details of our life and pictures of our children online can ultimately be in our control when it's on the internet. So, we have decided that, within the next two weeks, we will change our focus from this blog and begin posting on another blog - this one is a private blog not open to the general public. 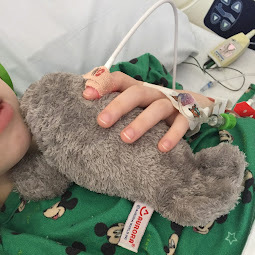 We will continue to offer brief updates about his progress on this blog but very few pictures or details will be available. However, we have appreciated the community that has surrounded us over the last year and we invite those who still want to follow Bennett to come along with us. We believe password protecting the blog can provide us the opportunity to keep Bennett's blog open without fully compromising our safety. So, come along if you'd like. In order to gain access, you must email us at breckgamel@yahoo.com with your name and email address. We will then send you an invitation through the blog for you to accept. If you have a blogger account, once you accept, you'll have full access to the blog. If you don't have a blogger account, you will be prompted to create one for free. We understand getting to Bennett's blog will not be as easy anymore. And for that we are sorry. But we also feel that if we are going to protect Bennett from germs, we need to also protect him from predators. So, bear with us through this change. Thank you for all your love and prayer for our family and son over the last year. We have felt so loved and seen God through you. I totally understand the need for privacy! It's hard to walk the line these days....everyone is always posting pictures and stories and details on blogs and facebook and I want to as well but then I do it and start to worry. I try very hard not to put details about churches/schools/etc but then at the same time if you google my full name you get hits to other peoples non-private blogs that have pics of myself and I. Sometimes it's hard b/c I don't want to ask the Mommies to remove the info since it is their blog but I also get annoyed that that they put me out there, especially the ones that share SO much information so freely.